Join us for our 8th annual Members' Rock, Gem, and Jewelry Sale. Our members showcase and sell: rocks and slabs, mineral specimens, unique finished jewelry, jewelry-making supplies, handcrafted artisan items, tumbled and polished stones, rough gemstone material, and fossils. 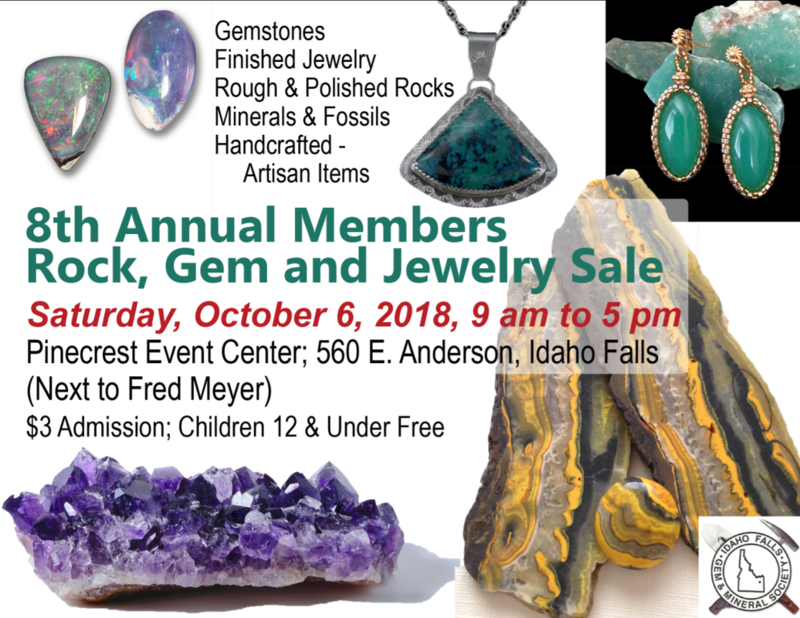 Our members' rock sale will be one day only, Saturday, October 6, 2018 at the Pinecrest Event Center (by the aquarium and Fred Meyer's) from 9am-5pm.